And so the Carnival Corporation has revealed it’s very first Super Bowl Ad during the ad break of Americas largest sporting event. The new ad was a minute long and named “Come Back To The See”. “We are tied to the ocean… and when we go back to the sea, whether it is to sail or to watch it … we are going back from whence we came,” President Kennedy says in his distinctive voice heard by viewers as they see illuminating scenes of the ocean’s natural beauty. In the commercial’s full voice-over, representing a short clip from his speech kicking off the 1962 America’s Cup, the President’s remarks describe the emotional and innate connection that people have with the sea. The “Come Back to the Sea” spot was produced to create a personal connection with consumers, especially those who have never taken a cruise vacation, a key target audience for Carnival Corporation’s 2015 marketing initiative designed to increase interest in and demand for cruising. To capture the essence of cruising and showcase the experience of going back to the sea, Hollywood directorWally Pfister and the BBDO-Atlanta creative team shot for nine days in Barcelona, Spain, including five days onboard the Regal Princess ship, the newest ship in the company’s Princess Cruises line. Gathering breath-taking visuals of the open sea and unique moments in time from cruise vacations, the team produced a story that translates the unique and intangible experience of re-connecting with the sea into a 60-second commercial. Drawing on a wealth of storytelling expertise, Pfister and the team created a film-quality, documentary-style final spot with powerful visuals to help evoke an emotional response from viewers. 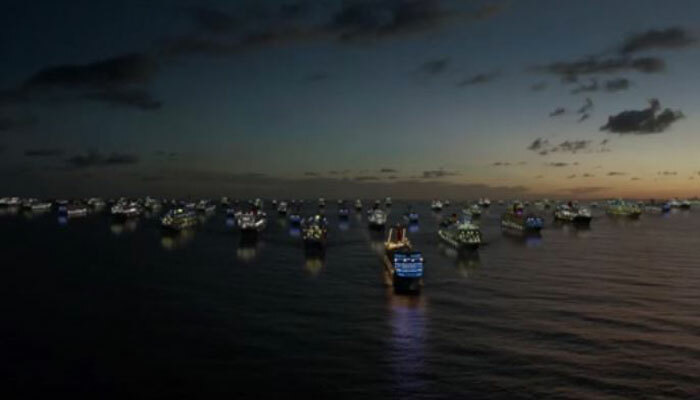 This final commercial was one of four fully produced ads created as part of the company’s recently launched “World’s Leading Cruise Lines Marketing Challenge” that gave consumers across North America the chance to provide Carnival Corporation with input on its new advertising creative. Hosted by Cedric the Entertainer, this interactive crowdsourcing contest let consumers “join the company’s marketing team” and vote for their favorite creative concept with a chance to win a grand prize of a yearly cruise for life. More than 100,000 consumers voted on the ads and participated in the contest.